Where the Heart Is . . . — Sewing Seeds Quilt Co.
You are here: Home / Blog / Where the Heart Is . . .
A 2016 Row by Row project designed by Sewing Seeds! Cotton pieced backgrounds with hand-dyed wool applique make up this lovely project. 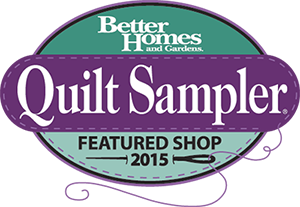 Visit us in person from June 21 through September 6 and ask for your free pattern! Limit one pattern per person. Kits will be available during this time for $24.99 that include wool, fabric for top and binding. Valdani threads and backing are sold separately.